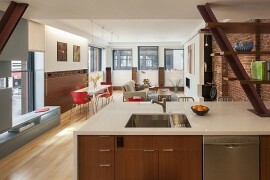 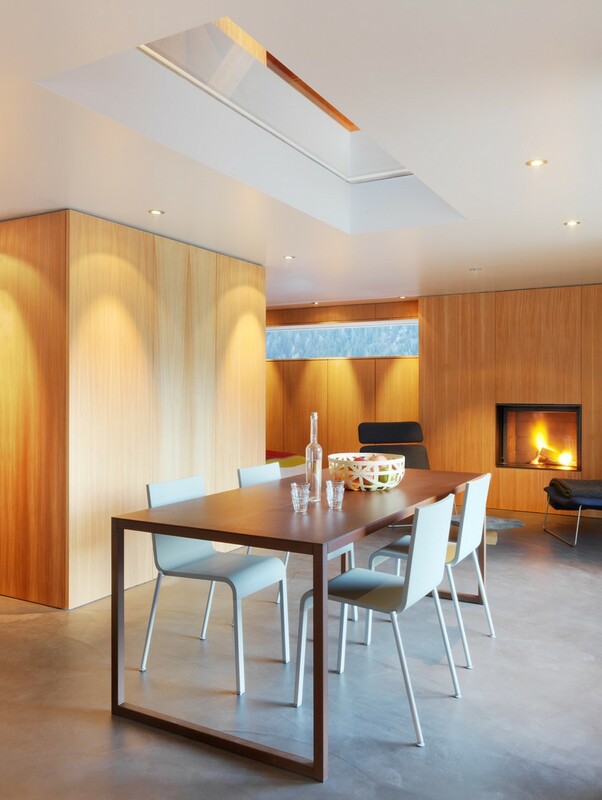 Revamping an old structure into a modern retreat is a hard task in itself. 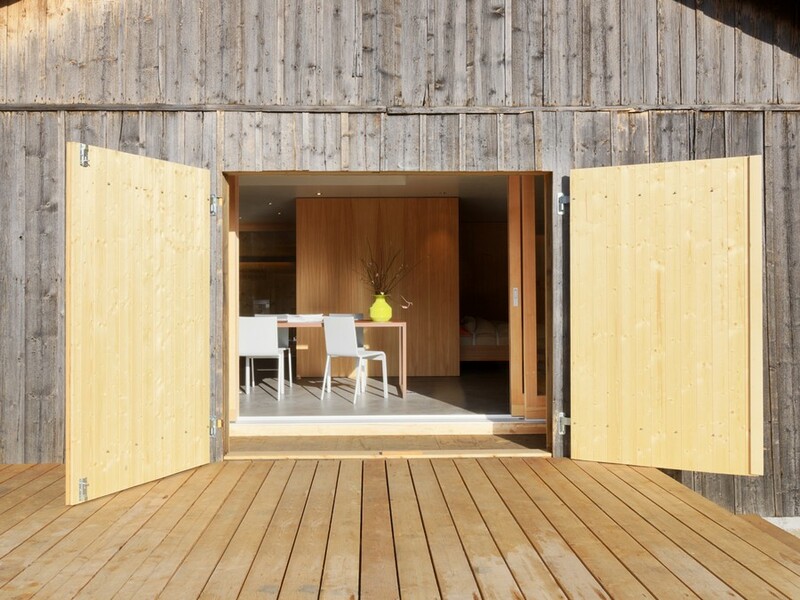 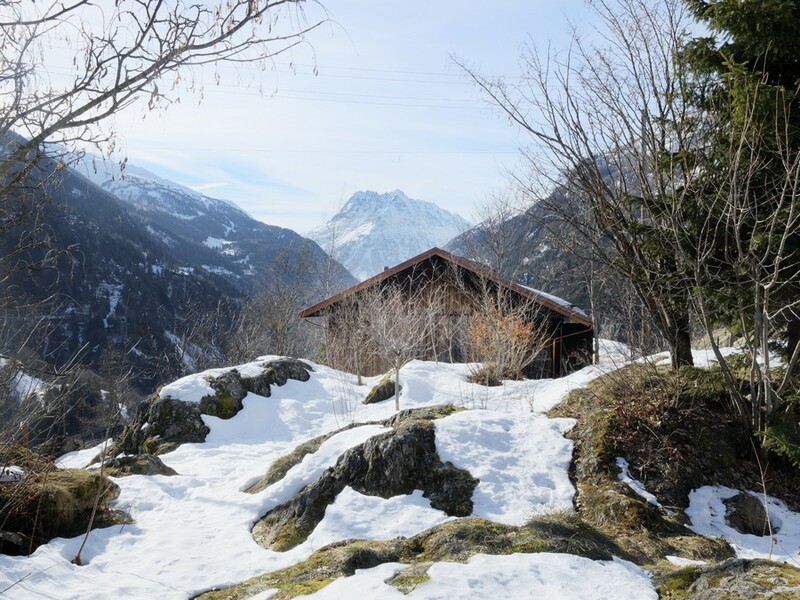 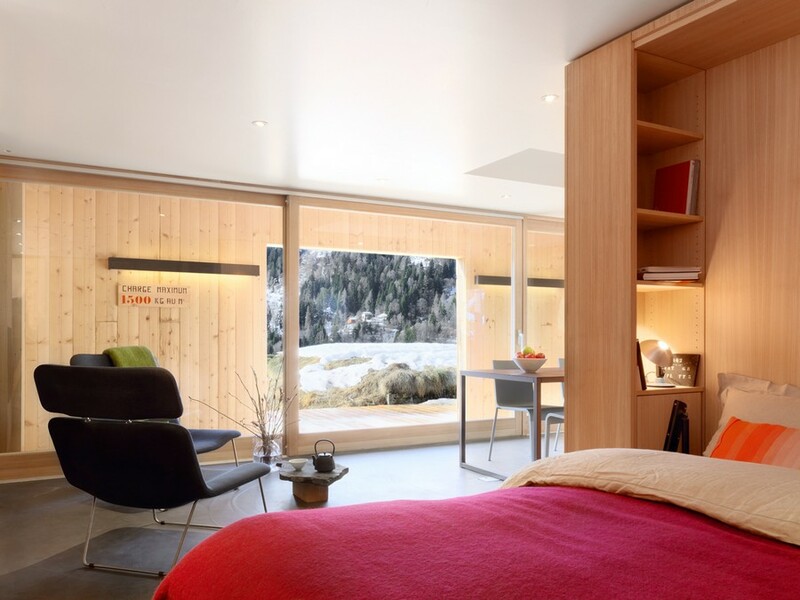 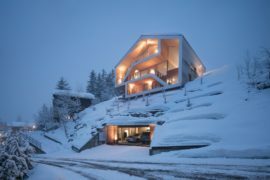 But the ingenious designers at Ralph Germann Architectes have not just given an old Swiss Army building set in amidst the majestic Alps a new lease of life with a fabulous makeover. 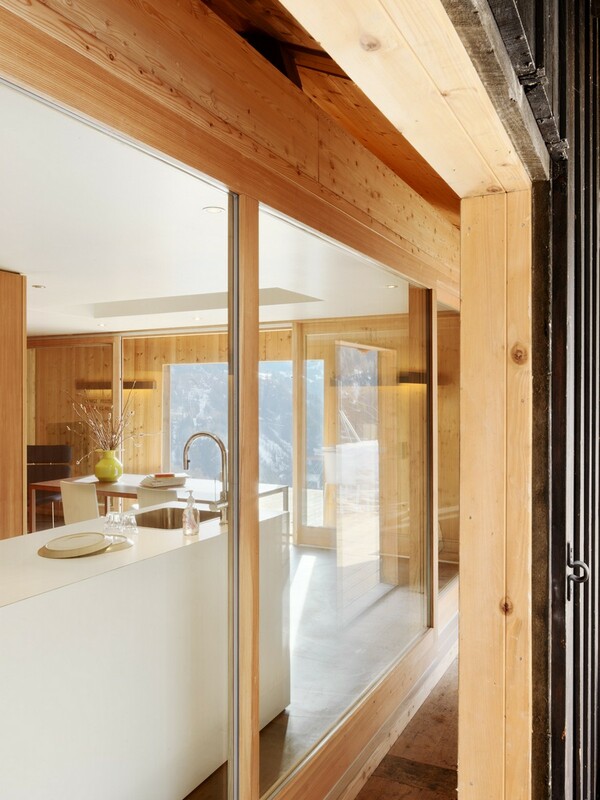 The rustic looking exterior of the structure was preserved with the interior acquiring a sleek and stylish contemporary look. 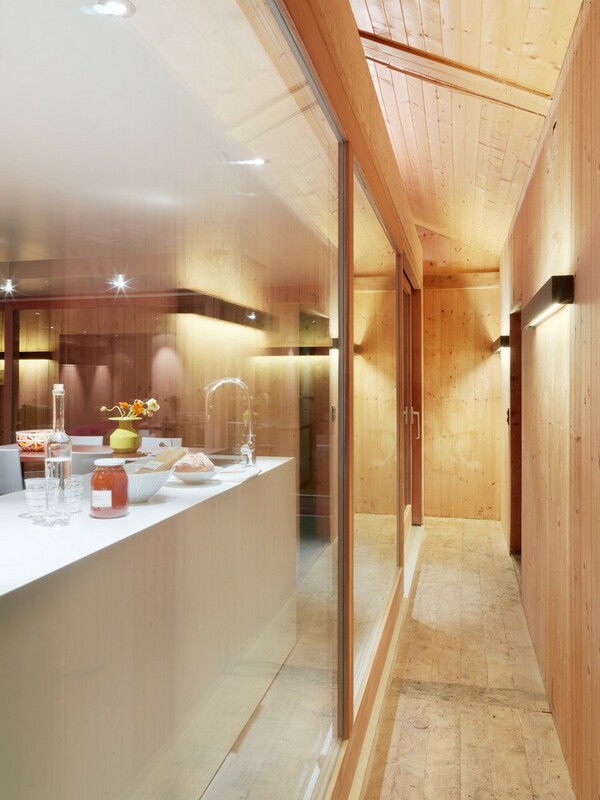 A glass cubicle was added to the existing space so as to leave the old walls largely untouched. 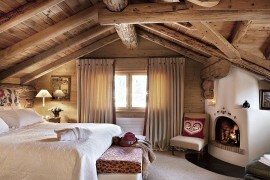 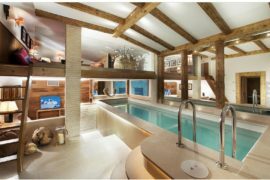 While this preserves the historic significance of the brand new chalet, it also fills it with an air of urbane affluence. 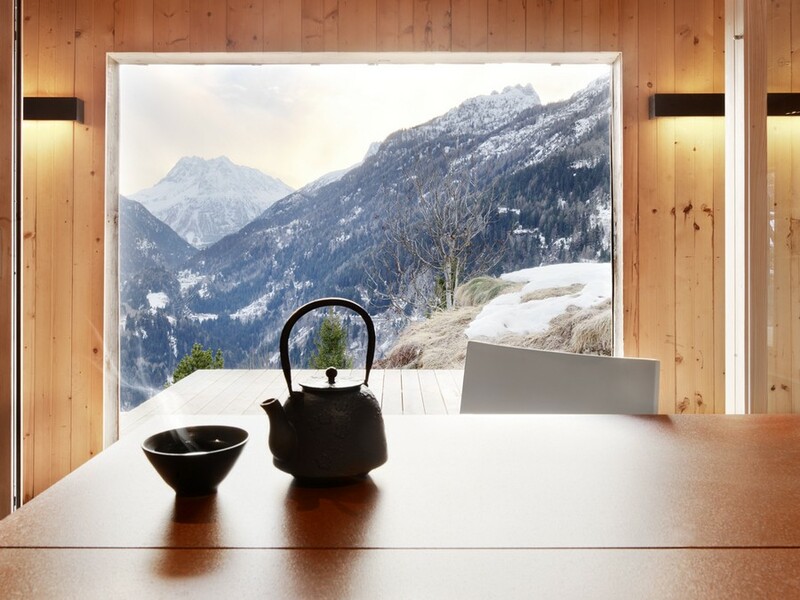 Soothing wooden tones present a soft contrast to the already present arch, slate, glass and metal surfaces. 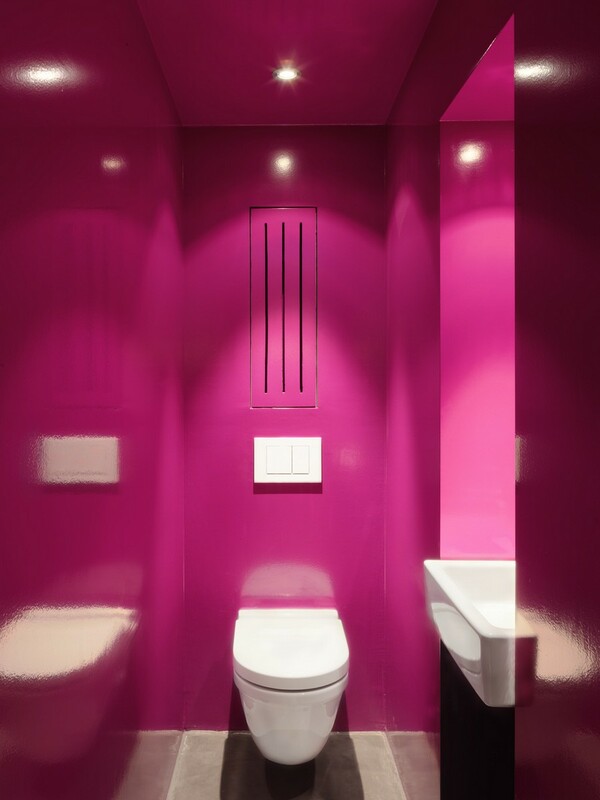 Clean and well defined lines usher in the contemporary style and bold addition of Fuchsia really lights up the retreat. 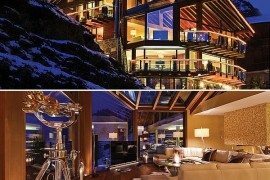 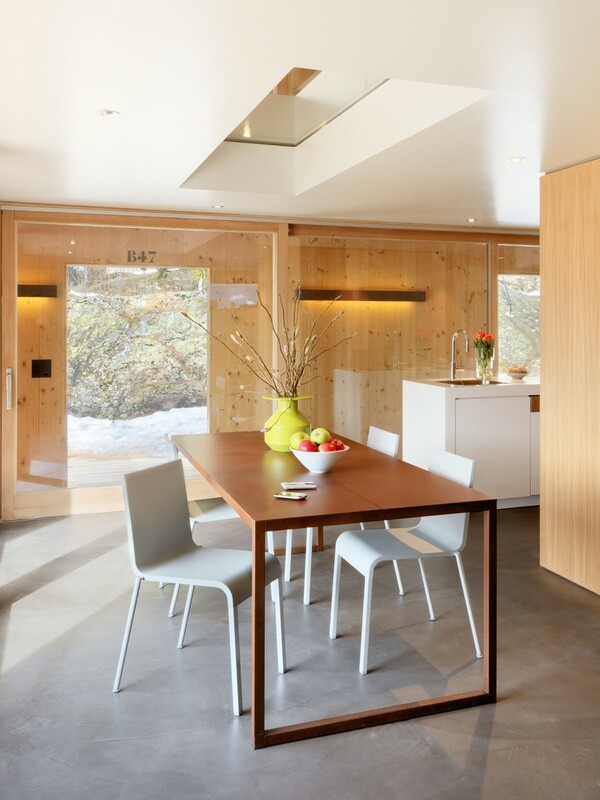 Glass also acts as a wonderful insulator, keeping those inside warm even as it provides unabated views of the snow-covered peaks outside. 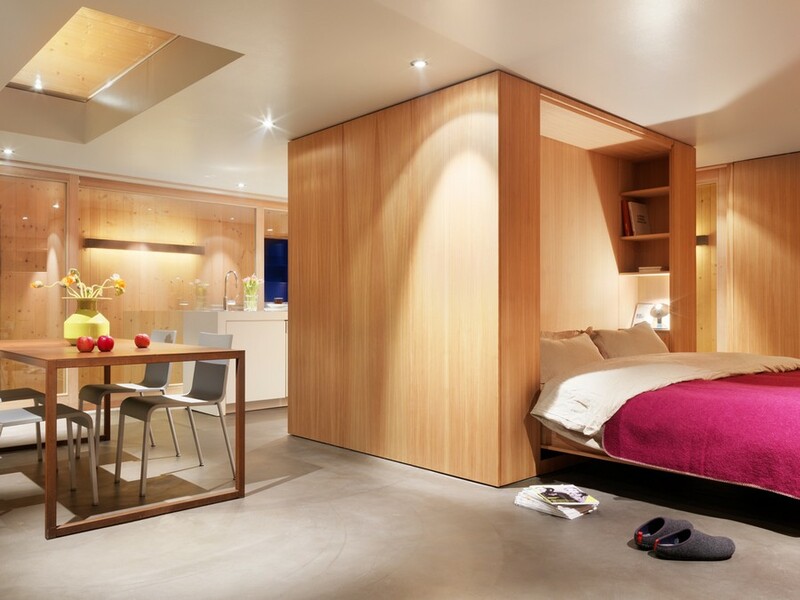 Another interesting addition is the large wooden cubicle to the interior that sports ergonomic closets and a space-saving Murphy bed unit. 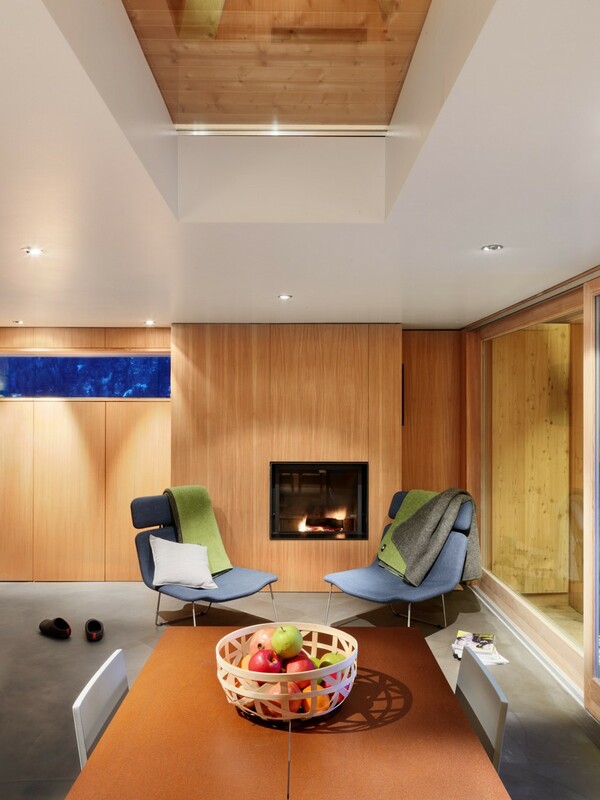 Blending in the ample natural light with well-placed recessed lighting, the Chalet definitely has a unique charm of its own. 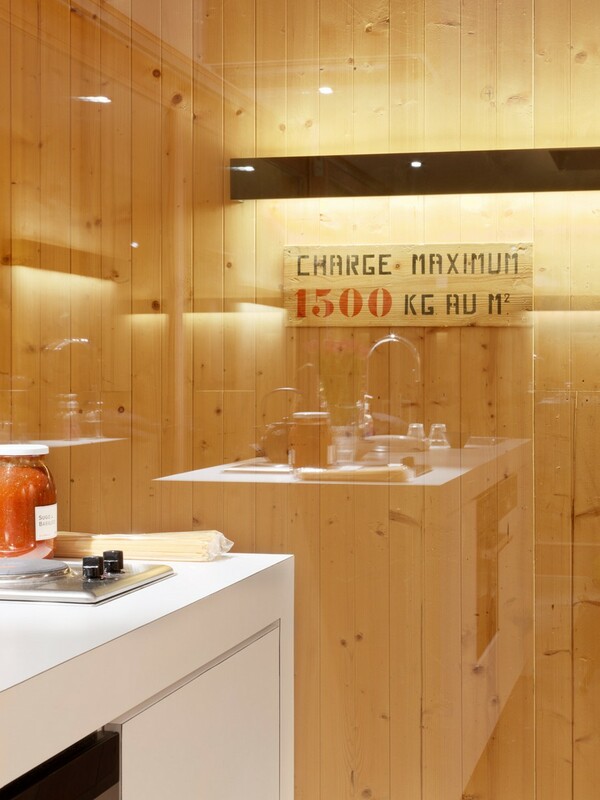 Originally built during World War II, text on the wall that says ‘charge maximum 1500 kg au m2’, reminds those inside of the structure’s storied past. 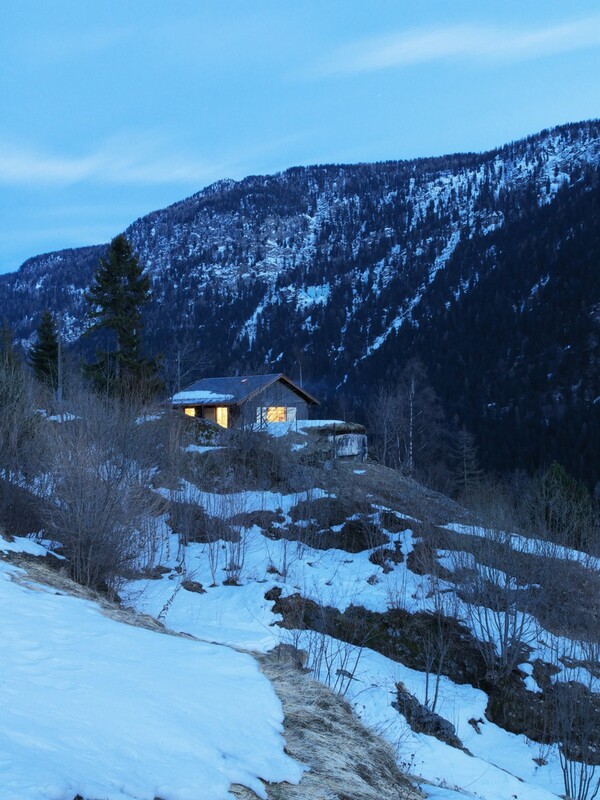 Secluded, stylish and offering stunning sights and sounds outside, it offers the complete package.